In addition to an extensive in house pharmacy, we have additional options to meet your needs. 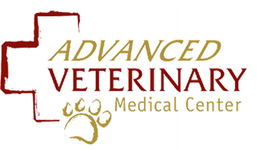 By clicking on the Shop Online link on our home page or through your pet portal you have access to a wide array of veterinary prescription and over the counter products. We work together with an online source to monitor and maintain your pets medication in a coordinated fashion through a provider we trust. Not only will you receive medication you need at comparable online prices, but you will have the assurance of knowing that your veterinarian has approved your prescription before it reaches your home.